Garlic is one of the most common ingredients in a traditional Mediterranean diet, being an essential component of sauces such as pesto (Italy) and alioli (Spain). Garlic is used as a flavoring enhancer for meat, fish, poultry, vegetable, legumes, rice, pasta and casserole dishes liberally in a variety of recipes. This amazing ingredient has played an important role in the field of medicine and culinary areas respectively throughout history. Probably very few of you have asked themselves about the origin of the garlic they consume. Is there a way for us to determine whether or not the garlic we are consuming is home grown, or is imported, or whether there is a difference between American and Chinese garlic? Facts say that USA imports 138 million pounds of garlic from China. The situation has changed a lot, since 15 years ago, California produced almost all of the garlic sold in the United States., and now China produces more than half of the garlic sold in the United States. There were a few reasons why garlic growers in California were out of business. First of all, the food safety regulations in China are known to be lax and land in California is stringent in pesticide. Consequently, in the late 90s, China began flooding the market with inexpensive garlic, as so growing garlic in California is more expensive than growing garlic in China. Henry Bell of the Australia Garlic Industry Association suggests that the organic garlic from China is sprayed with chemicals in order to whiten it, to stop sprouting and kill the pests. Chinese garlic is treated with harmful compounds such as lead or sulfites. Due to the chemical substances used in its treatment, Chinese garlic is exposed to over-storage which can reduce the levels of one of its most important health compounds, alicin. 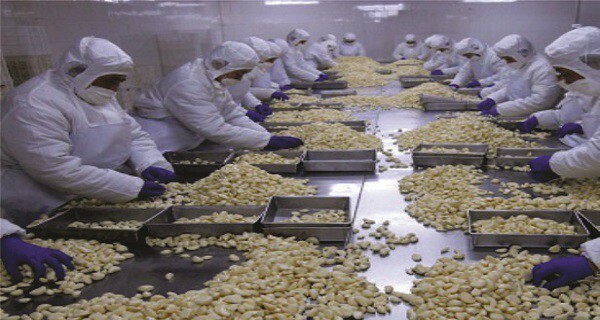 In addition, Chinese garlic uses methyl bromide as a form of fumigation, which is a toxic substance used to protect the plants from any bugs and insects. What is alarming is that in large amounts, this chemical can cause serious health problems in the respiratory and central nervous system and in some worst cases, it can even cause death. garlic, which leads to improved taste.